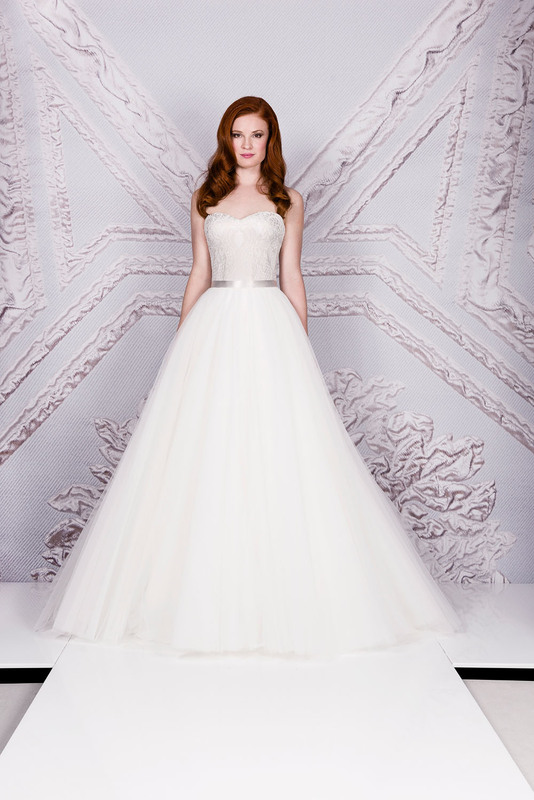 Rene is a stunning tulle ball gown with an embroidered bodice. The embroidered bodice is totally unique and made only for Suzanne Neville. We also have a fabulous long sleeved jacket that matches the dress. This dress is the ultimate romantic, modern princess gown!